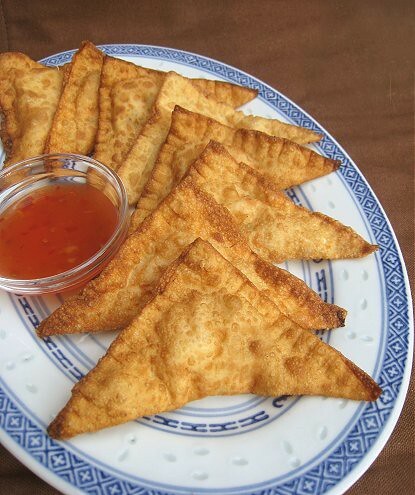 I had never heard of "crab rangoon" until sometime last year. Mind you, when I say I heard of them, I really mean that I only heard of them. 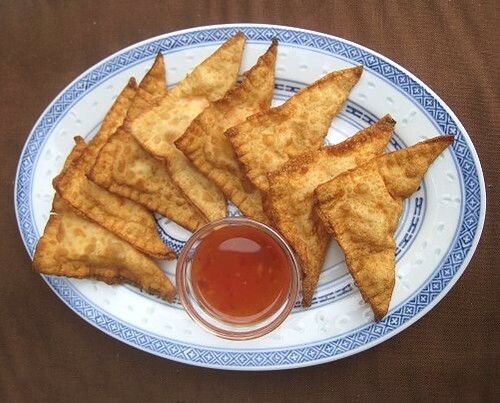 Until now, I still have not seen crab rangoon in the flesh (or, in the wonton wrapper, I should say). 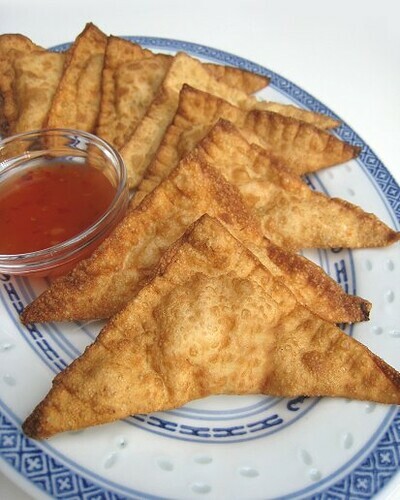 But, we do love our cream cheese, so when we had some smoked salmon languishing in the fridge, we decided it was high time we made this fake Chinese food classic at home, but with a salmon-y twist! 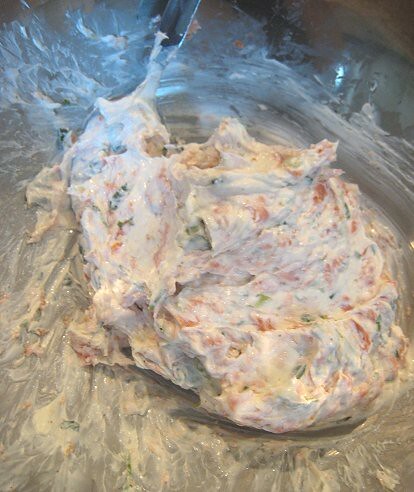 For the filling, we mixed together cream cheese, smoked salmon, green onions, and just a touch of lemon juice. 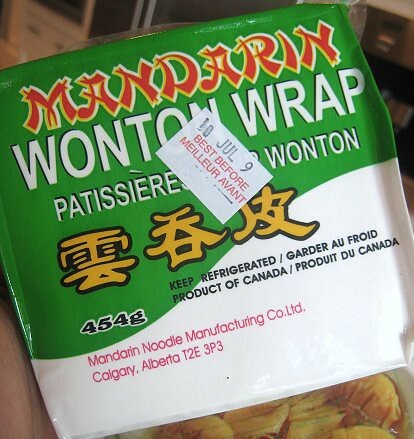 These wonton wrappers were not good. It was so hard to separate each one! Each wrapper got a tiny amount of filling, then because I'm lazy, simply got folded into a triangle. 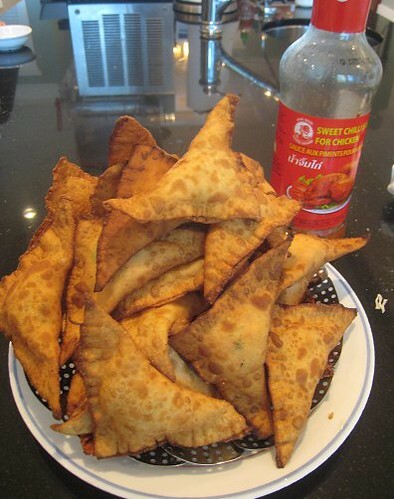 After a dip into hot oil, they were done. 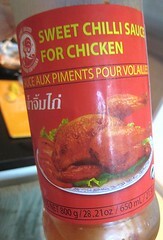 Ah yes, for that sweet, gloopy component to complete the dish, we used "Sweet Chilli Sauce for Chicken" for dipping. Salty smoked salmon and creamy cream cheese encased in deep-fried dough, slathered with sweet sauce? More, please! Wandering Chopsticks made crab rangoon last year. As in, with crab krab, not smoked salmon. Mix together smoked salmon, cream cheese, green onions and a splash of lemon juice. 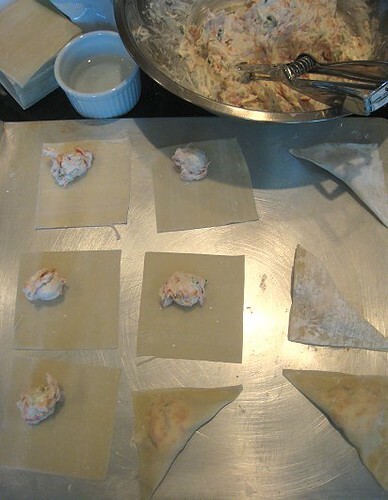 Full each wonton wrapper with the filling, wet the edges to close. 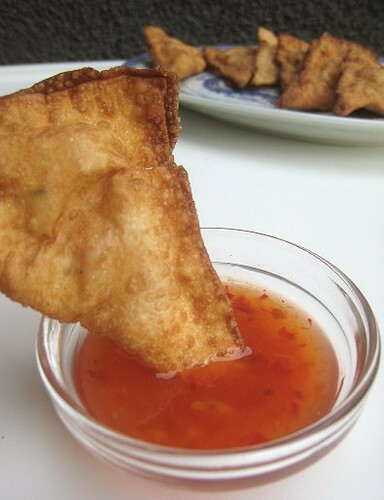 Deep-fry each filled wonton until golden brown. 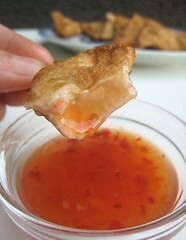 Serve with sweet chili sauce ("sweet chilli sauce for chicken"). Oy YUMM!!!!!!! 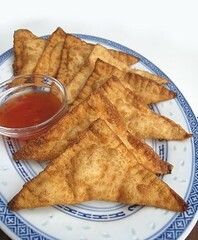 I am going to make these on Saturday. Thanks for an excitng recipe!